The ICC Champions Trophy 2017 is almost here and there’s more anticipation and hype surrounding it than ever before as this one gears up to be the best tournament yet. England will host the competition this year and open the fixtures on June 1 against Bangladesh. England are drawn in a group with Australia and New Zealand, the other group is made up of India, Pakistan, Sri Lanka and South Africa. The final will be played on June 18 at The Oval but with a long way to go before then, it’s important to know who to keep an eye on as we approach the competition. England have been performing well in recent ODI fixtures, they won 2-0 in a series against Ireland at the start of May and never looked like losing. England won by 7 wickets on the first day and then by 85 runs on the second. As a result, England are 13/4 competition favourites with Oddchecker and their aforementioned form, paired with the advantage of playing on home soil should go a long way to justifying this price in the eyes of punters on the tournament. 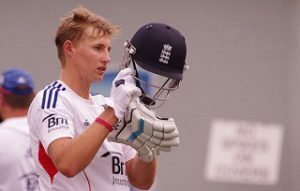 One man that will be vital in any England success is Joe Root. Root is ranked as the fourth best batsmen in ODI competitions and is certainly one of the danger men to watch after his impressive season with Yorkshire left the county side finishing third. This was followed up with a good performance against Ireland, Root claims he will improve his bowling to become as strong as his bowling ahead of the ICC Champions Trophy. 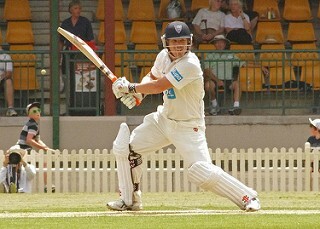 Another man to look out for is Australia’s batting ace, David Warner. The 30-year-old currently plays for Sunrisers Hyderabad in the Indian Premier League, although it’s unsure whether he will remain there as he and Steve Smith are linked with moves away. Warner is ranked as the second best ODI batsman just in front of Joe Root and will be a huge part of the Australian side looking for their third Champions Trophy in the last three instalments of the competition. The opening batsman needs just 54 runs to complete 4,000 runs in ODI’s, Warner is tipped to make that landmark and his country could easily go all the way if they can push past England and New Zealand. India are ranked as the third best ODI nation and managed to win the last ICC Champions Trophy in 2013. They did so thanks to Ravindra Jadeja’s performance in a rain-filled final match, Jadeja won the player of the final at Edgbaston four years ago following his 33 not out and two for 24. The 28-year-old is ranked as the best test bowler and showed his all-round ability in this tournament. But more recently impressed for his Gujarat Lions side when he showed his fielding abilities and struck twice in 11 bowls. His India side will start to defend their title in their first fixture against Pakistan on June 4.